Can Do 110V, 220V power switch formats to accommodate different national voltage standard (domestic shipments default fixed 220V, For voltage switching or customize other voltages please when buying). Before and after class independently designed interior layout is reasonable, clean and beautiful. 7mm thick aluminum front panel drawing process panel, black, silver optional. Advanced matte paint process thin steel cabinet, high-gloss metal knob, Cellular playing machine feet. Boot red light flashes, complete the preheating indicator lights turn blue. 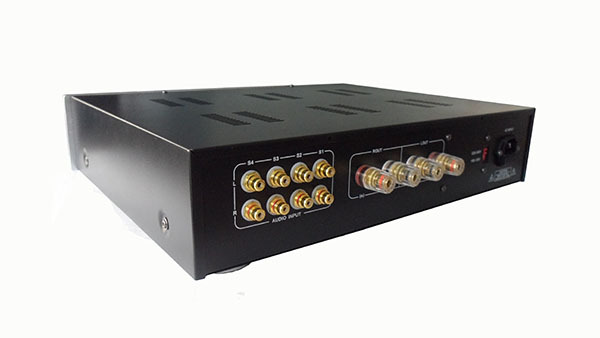 The output of large-current relay delay protection horn, with mute switch, the midpoint potential drift, over current protection, to avoid damage to your expensive speakers. Enter with gold lotus seat, output is high-grade gold-plated terminals with oxidation amber. Power line with 3 plug socket for easy replacement of high-grade power cord. Volume using 27-type blue shell sealed potentiometer. Coupling capacitors are used in Germany or German WIMA polypropylene capacitors ERO other imports. 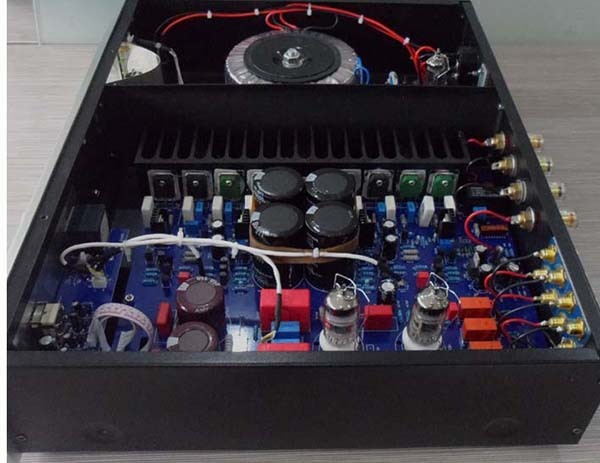 300W power supply using toroidal transformers, power enough, low radiation. Imported fast bridge rectifier, four imported 10000u large pond filter. Very low power tube wear resistance of the large comb blackened aluminum radiator. 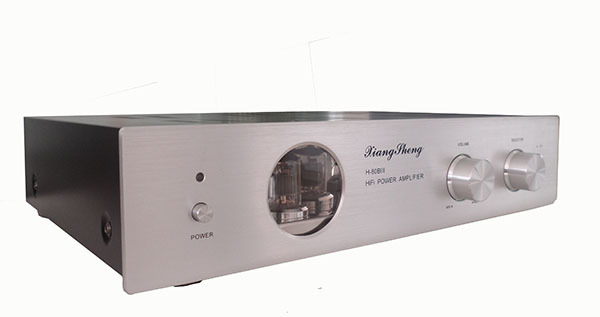 The airport FET original power tube, disassemble, than a new tube expensive, good sound quality, stable! Please understand, mind carefully shot. Previous level uses the famous British Matisse line amplifier. The filament voltage power supply to minimize noise. Rectifier tube, the sound is more supple. Transformer and rectifier plate away amplifying section, and there is isolation plate isolation. Stage voltage amplification tube using the name 2SA1145,2SC2705 total of 10 right, pushing stage with 2SA940,2SC2073 2 right, power tube original disassemble 4 right. Chassis Net Size: Width 430 × height 100 × depth 348mm, contain knobs, connectors, machine feet Size: Width 430 × height 165 × depth 385mm.